Talk about hockey rituals. 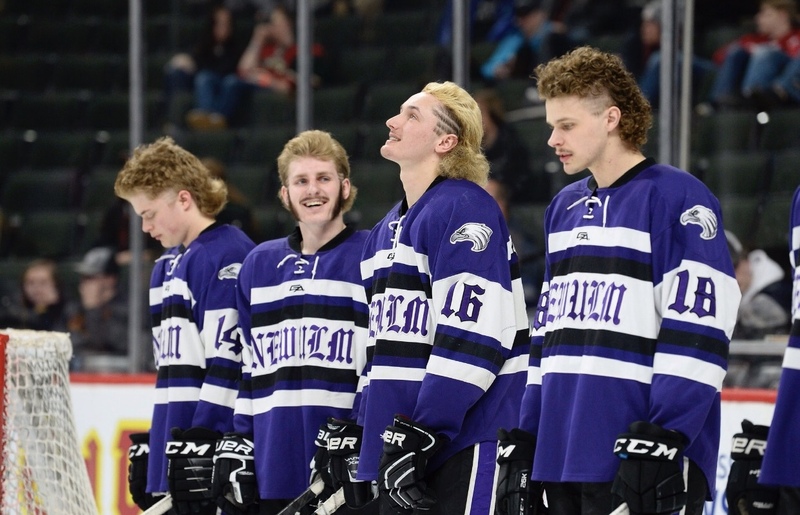 The Minnesota boys state hockey tournament holds an annual “All Hockey Hair Team” which consists of 16 teams lucky enough to get a chance at something they have looked up to for a long time. 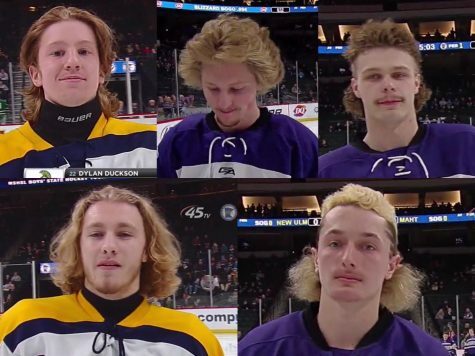 Not everyone in Minnesota gets a shot at the all hockey hair team, but the teams that do go all out. From mullets, perms, and straight up military haircuts, the tournament has it all. This year even saw a little bleach action from the teams of North Branch and New Ulm. But the team that really stood out was New Ulm. They had it all, from frosted tips whiter than snow, to perms tighter than a clam with lockjaw, to mullets with racing stripes – and even the famous chops, which took the state by storm, making ESPN highlights like it wasn’t even a big deal. We talked to Hunter Hulke on how it felt to make the video. “It was a pretty awesome feeling making the all hockey hair team, even though I wasn’t number one,” he said. Hunter placed fourth on overall rankings which is pretty great considering there are over 300 kids that attend the tourney. Hulke also received a little care package that included three hats, some gel, and a rainbow comb to kick off the last year celebration. 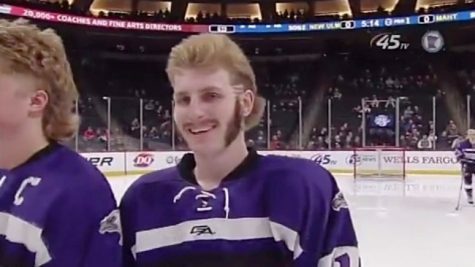 We also had the opportunity to talk to the man who allegedly “made New Ulm famous.” Bringing a wicked mullet paired with a pair of chops and a stache’ to the tourney was New Ulm’s Teagan Kamm. Kamm said, “It was pretty cool when the crowd started cheering; when I skated up to the camera, the place went nuts.” And that it did, making ESPN highlights, Spittin’ Chicklets, and even WCCO News. New Ulm came out with some wicked hair to kickoff the 10 year celebration, which would sadly be the last. But even though the all hockey hair team came to an end, surely it will be continued in the future, because great rituals will never end.